/ » backtest » Is Skewness a Timing Signal? Is Skewness a Timing Signal? We recently came across a post titled “IMPROVING THE ODDS OF VALUE” (link,) where the author uses the skewness of one-year daily returns to time the value factor. Here, we try to replicate/extend the original backtest. We expected the major premise of the original post – that you can go long value during periods of positive skewness and go into cash otherwise – to hold. And perhaps provide some marginal advantage while using it to time a long-only value ETF. Note how buy&hold vastly out-performs the timing portfolio. Perhaps, we are seeing these totally different results because we are long-only and the original back-test was long-short? We are not entirely sure. 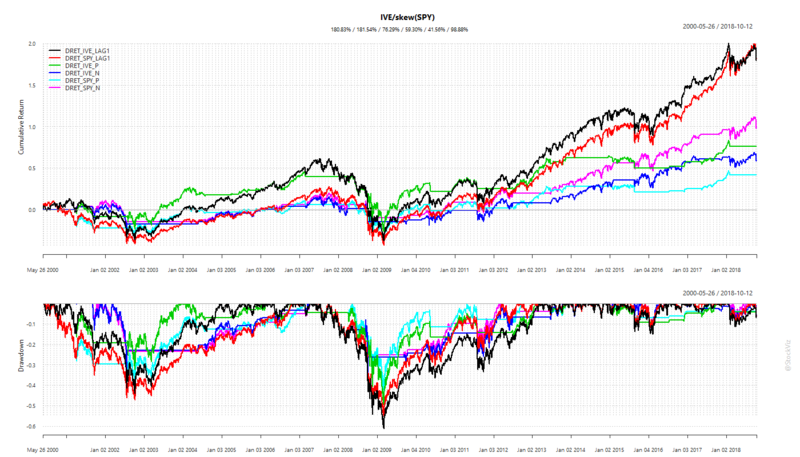 Also, the out-performance we observed on SPY failed to replicate on the NIFTY 50 and NIFTY MIDCAP 100 indices. 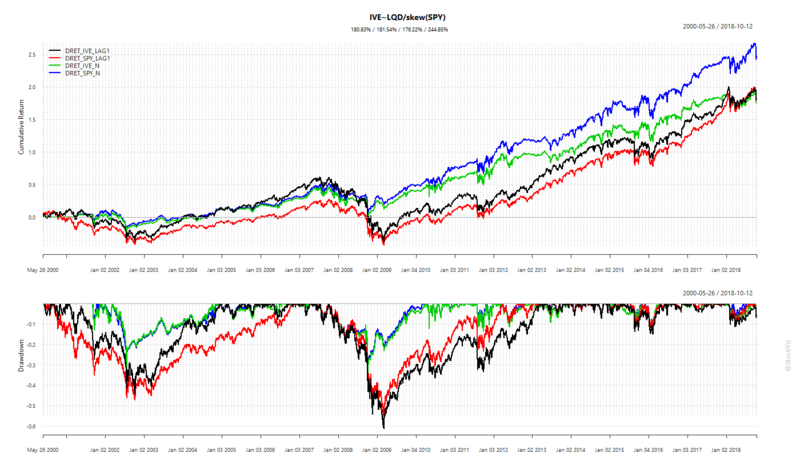 Code, charts and backtest results for NIFTY 50 and NIFTY MIDCAP 100 indices are on github.